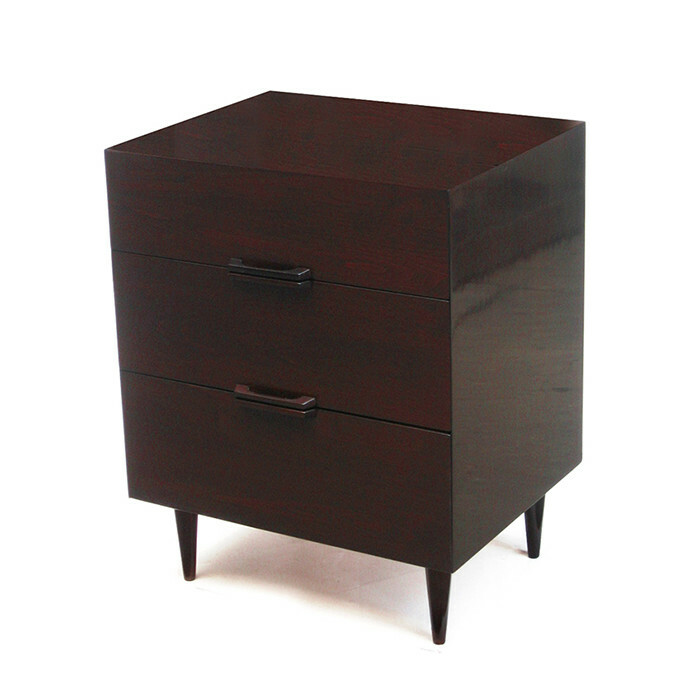 A Modernist three drawer chest designed by the Ramseur Furniture Company and featuring the original Branding marks. Walnut. Dimensions: H:30 W:24 D:19 Inches.